Sorry its been a bit quiet here recently. but I have been pretty busy and also took an evening off for my birthday! Also, after a very busy six months, things are pretty quiet generally at the moment. © Richard Smith. 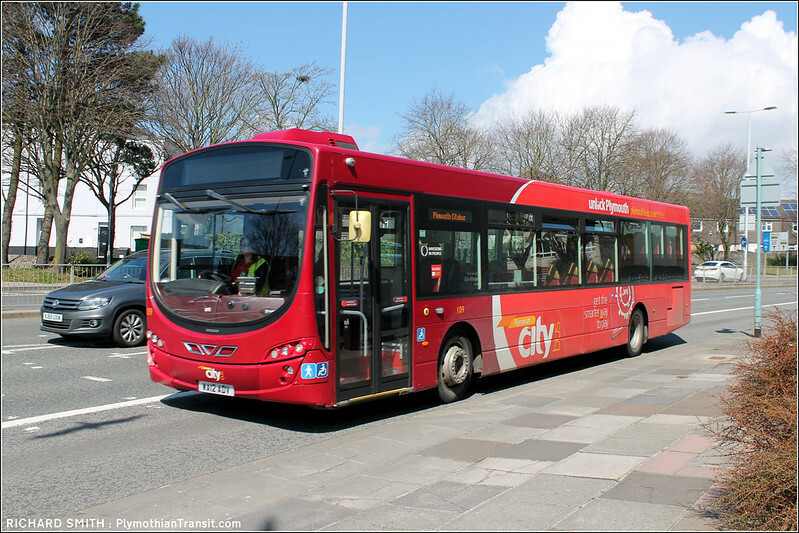 Illustrating the fluid situation with some of the older buses with Plymouth Citybus, Dart 23 has been noted still in service. It cant have that long left, but it does still look pretty smart. 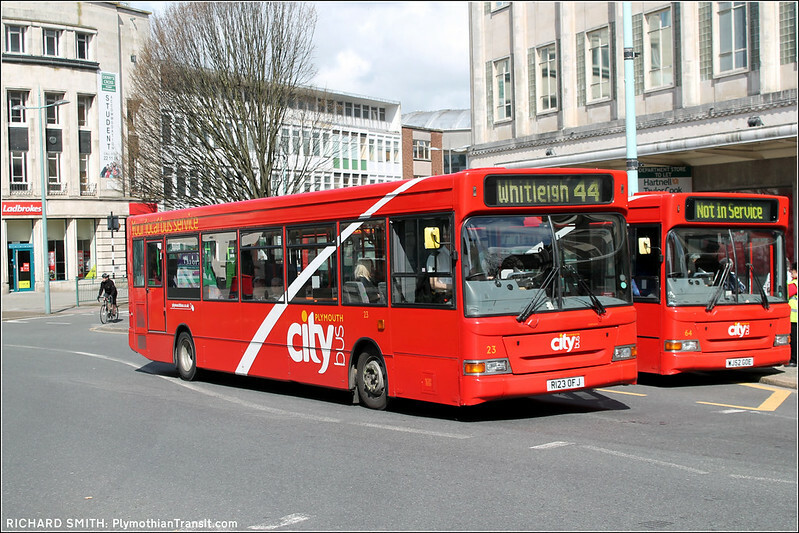 i wonder how long the ex route 34 livery E200s in the old livery will last like that for? and ive also noticed 134 has the new pcb logo at the front with the two red livery logos on the side like normal.. so i wonder if that will get a swoop repaint soon seeing that it has the new logo there? i guessing that the enviros that are still in the old livery will get a repaint after the volvo? Anyone else noticed that 520 wears Go Cornwall on the sides and rear but has a PCB logo on the front? !